October 17, 2017 / Katie V.
Guess what got finished this summer??? 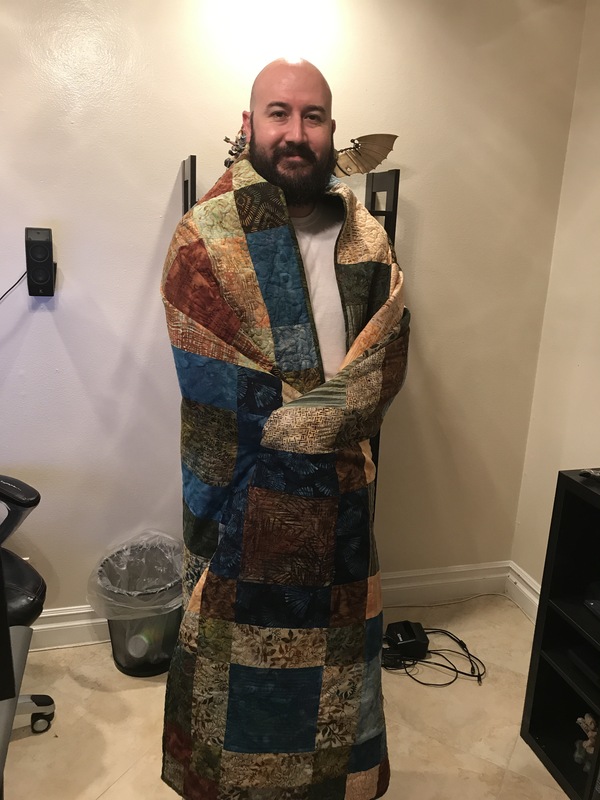 If you said “Katie, did you finally finish that Friendship Quilt for your husband? ?” you’d be absolutely right! 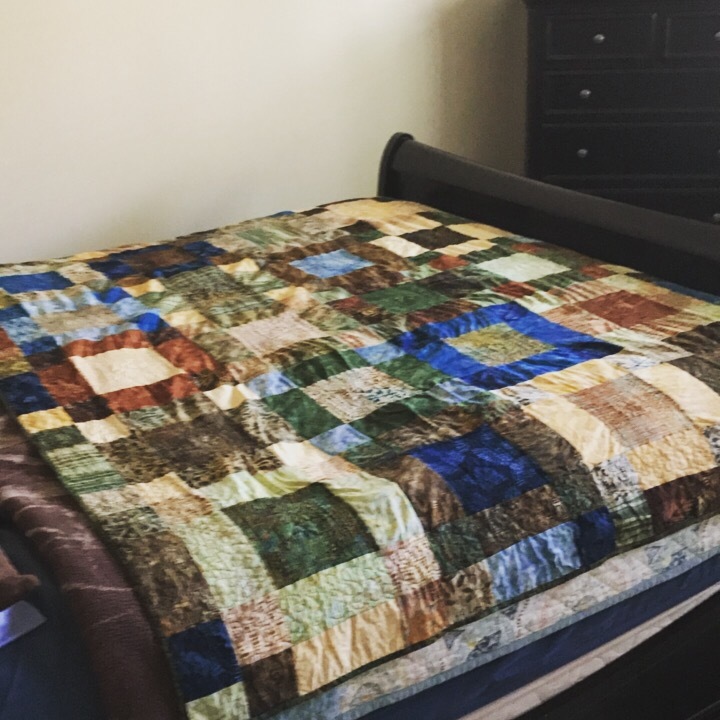 As promised to myself and my husband, I finished his damn quilt before the end of summer 2017 (which was only 2 years after I began it)!! Ok, ok, it took me forever but it’s done, and it’s been used heavily since it’s completion. This project was a success and a defeat all rolled into one. My original quilting wasn’t working so I ripped it out and started over. While I’m happier with the end result, I still could have done a better job. I didn’t quilt much in the borders so it’s a bit looser than I’d like. 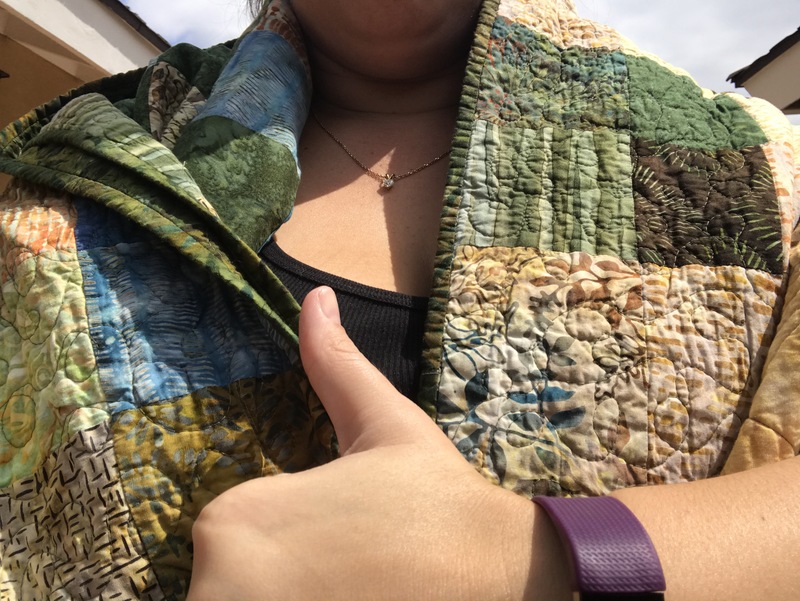 I think my issue was that I was DONE with this quilt and didn’t want to do more. I just wanted it finished. Either way, it’s done! And the husband loves it. And it looks great on our bed. 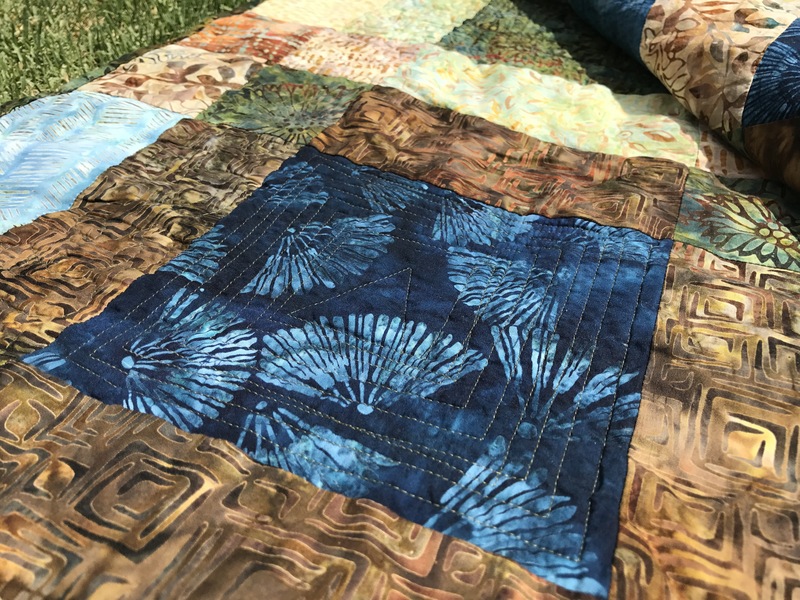 A beautiful quilt! Love those Batiks. Remember, finished beats perfect any day. No one but you would notice anything amiss. 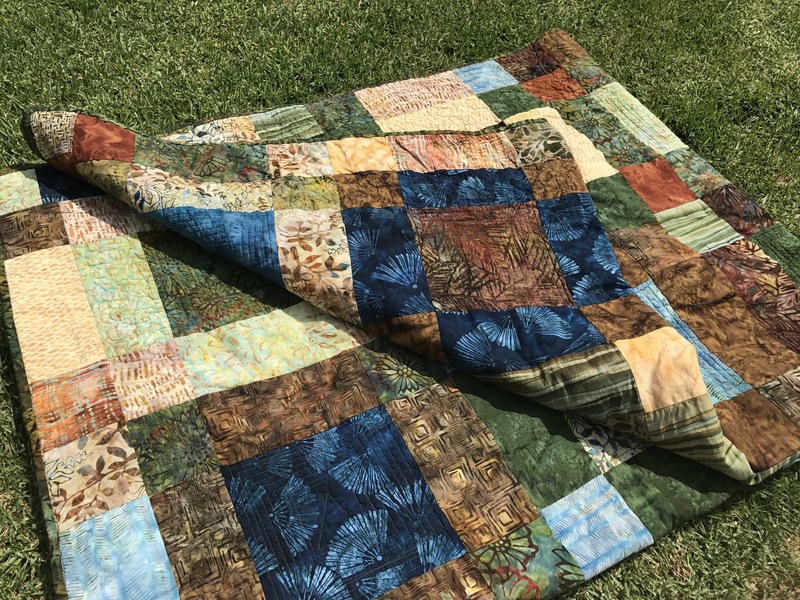 I just finished a quilt for one of my granddaughters. 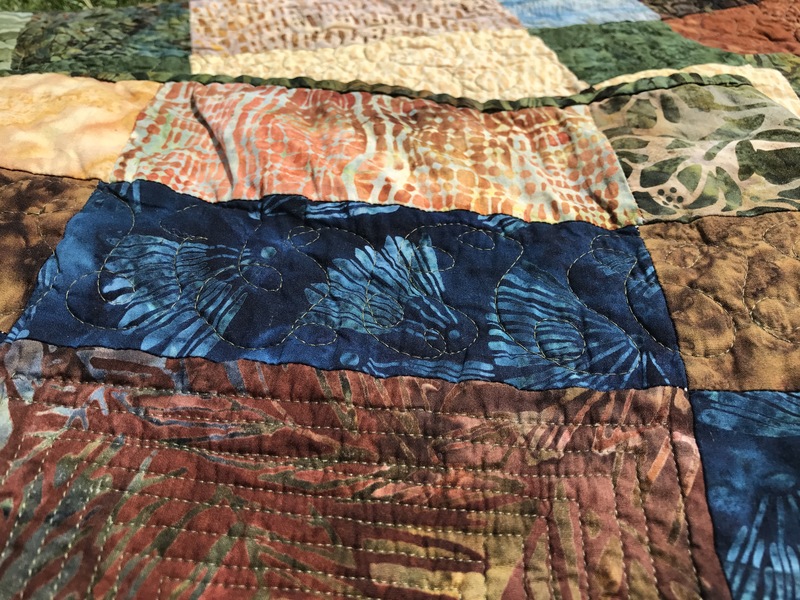 Like this quilt, it took forever and the FMQing could have been better, but my quilts are to be used, not a show piece. Just delighted it is finished and now given to a very lovely and grateful 6 year old. How wonderful! I agree, finished is better than perfect and having this completed for my husband is a wonderful feeling. Congratulations on a beautiful finish!! 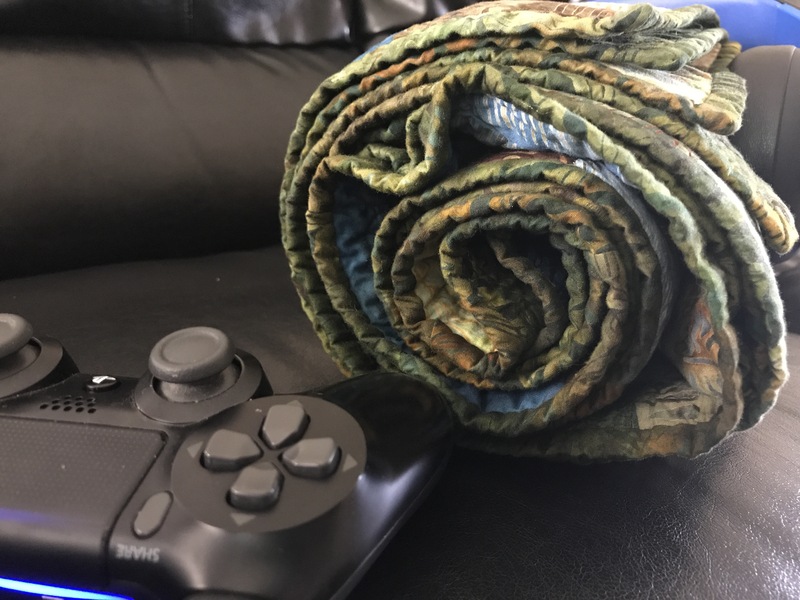 Wrapping in a recently completed quilt is just the best feeling ever, and when it is gifted to someone we love that makes it even better. I am happy to see you posting again, I missed you ladies!! Hugs!! Thanks Alida! We miss posting too and we’re looking forward to getting back on track! Thank you! My husband loves it!